Several years ago a promenade appeared on the map of Irkutsk (or, rather, the 130 Quarter turned into a promenade). An atmosphere of friendly interest was created in the quarter. It started to attract myths and legends typical of the old Irkutsk. The modern city folklore relating to the quarter is a promising sign. As long as the city gives rise to the living legends, it is safe from depression. KVARTALOV, Kozma. Myths of the 130 Quarter. 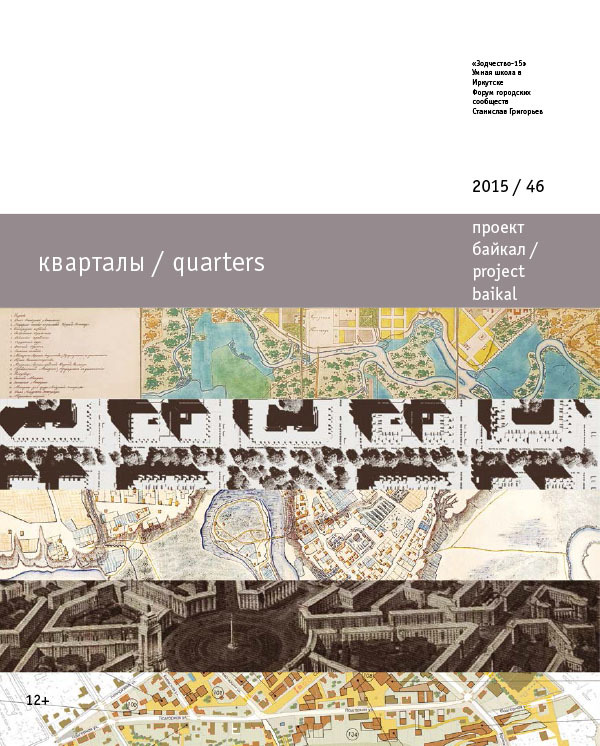 project baikal, Russian Federation, n. 46, p. 102-103, dec. 2015. ISSN 2309-3072. Available at: <http://projectbaikal.com/index.php/pb/article/view/961>. Date accessed: 23 apr. 2019. doi: https://doi.org/10.7480/projectbaikal.46.961.